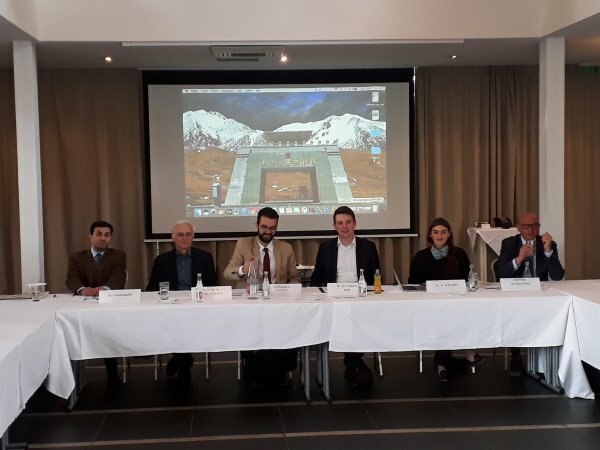 On 23 April 2018, the Unrepresented Nations and Peoples Organization (UNPO) convened a conference in Berlin on the impacts and challenges risen by the China-Pakistan Economic Corridor, with a particular focus on the disputed territory of Gilgit-Baltistan. Hosted by Member of the Bundestag Dr Marcus Faber (FDP), the event brought together academics, think tanks and staff members of the Bundestag to discuss the impacts of the CPEC and reflect on Germany’s and EU’s position in relate to the China’s expansion in South Asia. The conference was opened by Dr Marcus Faber (Member of the Bundestag, FDP) who drew attention to the importance of the issue raised by the conference and insisted particularly on the necessity to promote human rights and the rule of law by guaranteeing equal access to basic human rights in Pakistan. He also pointed out the importance of including indigenous people in any economic or development project carried out in their region. Mr Marino Busdachin (Secretary General of UNPO) put the issue in perspective of the unrepresented minorities affected by CPEC. The people of Gilgit-Baltistan, the Baloch, the Sindh and, on the other end, the Uyghurs, are all largely unrepresented in both China and Pakistan and therefore have consistently opposed to a major development project carried out without proper consultation and leading to gross human rights violations along its route. The first speaker, Dr Ariell Ahearn (Oxford School of Geography and the Environment) offered a historical overview of the Chinese expansion strategies since the 1990s, namely the “Going-Out” strategy and the opening the West strategy. Dr Ahearn also spoke about the dual policy in China regarding its Eastern Coast and Western side. Contextualizing China’s motivating factors behind OBOR and the challenges it faces with unresolved borders and disputed territories, she finished her intervention by stressing that the way the European Union reacts to the One Road One Belt Initiative is key to ensure China upholds its commitments. Prof Dr Hermann Kreutzmann (Freie Universitat Berlin) drew attention to the situation of minorities in Pakistan, particularly on what concerns the people in Gilgit-Baltistan. A multi-ethnic region, home to numerous languages and religious sects, the people of Gilgit-Baltistan are being denied their right to get a share in decision-making concerning projects in their region. Prof Kreutzmann reminded that the political disenfranchisement of the people of Gilgit-Baltistan dates back to decades and, in light of CPEC which cuts through the territory, has contributed to rising tensions. He concluded his presentation by highlighting that the political turbulence in the disputed territory might not suit China’s expectations of political stability from economic partners. Mr Burzine Waghmar (University of London’s School of Oriental and African Studies) started his presentation by quoting Dr Christine Fair’s observation that CPEC could also stands for ‘’Colonising Pakistan to enrich China’. Qualifying the OBOR Initiative as a strategic move to expand Chinese web of influence and to solve its Strait of Malacca dilemma. He insisted on the need to harden European policies to scrutinize Chinese investments. During his speech, Mr Waghmar has also evoked the violations committed by Chinese authorities in the Xinjiang province, such as violations of the right to privacy of the Uyghur community. Following a debate between the panellists and attendees, the Programme Manager of UNPO, Mr Fernando Burgés, concluded the conference by saying that initiatives to raise awareness of the implications of CPEC, as well as of human rights violations and the unresolved status of Gilgit-Baltistan, is an ongoing project of UNPO, whose goal is to bring to major political capitals of the world experts to brief politicians and engage the civil society, aiming to put the issue at the heart of the foreign policy of countries such as Germany and other members of the G8.